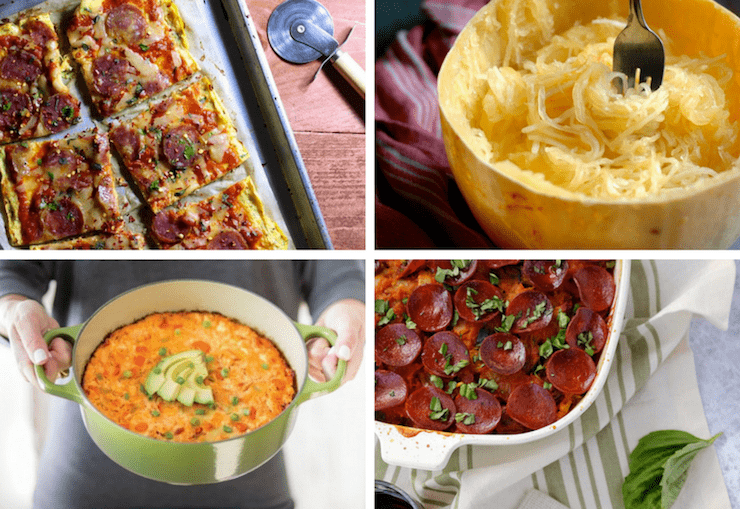 This collection of the best simple and tasty healthy spaghetti squash recipes will delight you and your family! 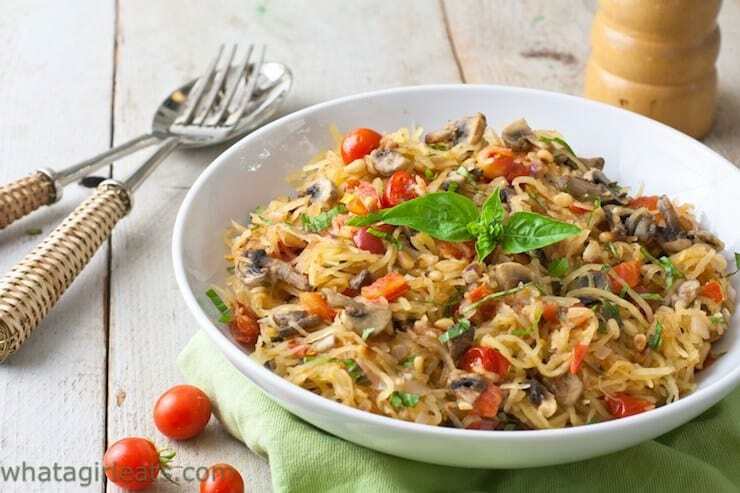 Spaghetti squash can be used in creative ways like in soup, casseroles, pizza, fritters, chow mein and more. If you’ve had spaghetti squash before you’ve probably roasted it or baked it and added some tomato sauce or pesto with some meatballs or chicken just like traditional spaghetti. 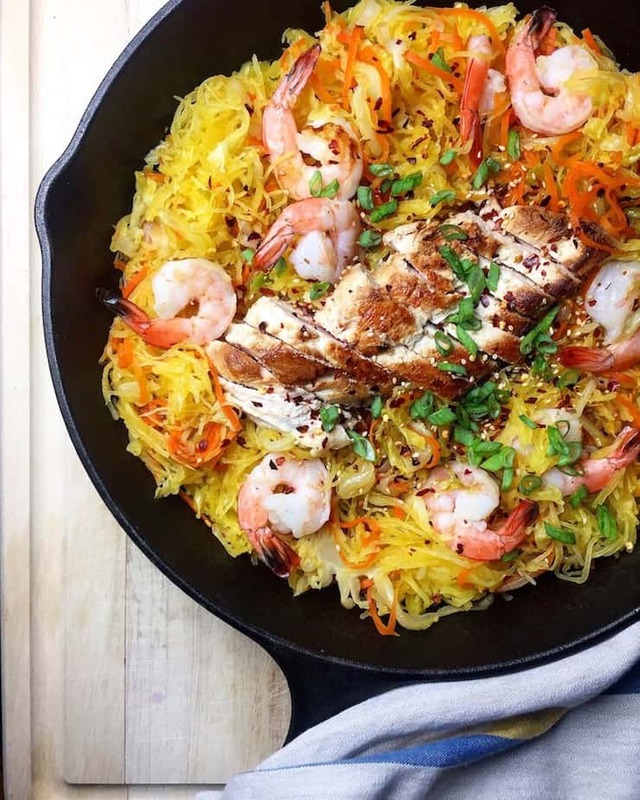 But, did you know you can use spaghetti squash in lots of other ways too? When the season for squash comes around I know that I take advantage of it. Sometimes you run out of ideas though, so that’s why I put together this awesome list of ways to use that spaghetti squash! 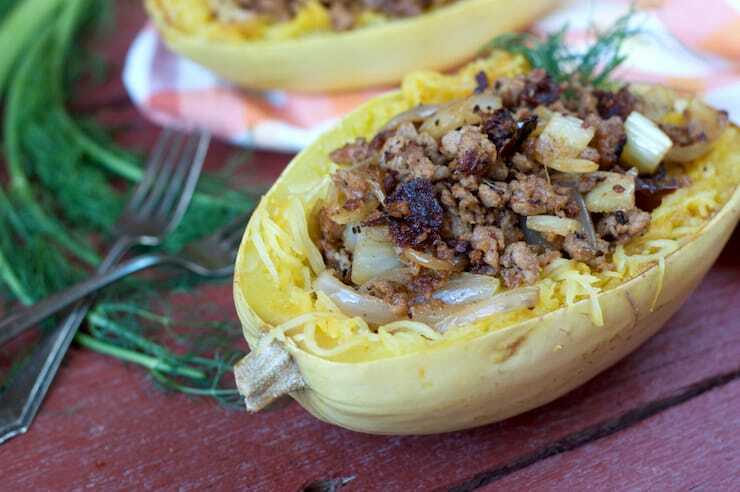 Check out some of the amazing ideas below to get creative with your spaghetti squash! 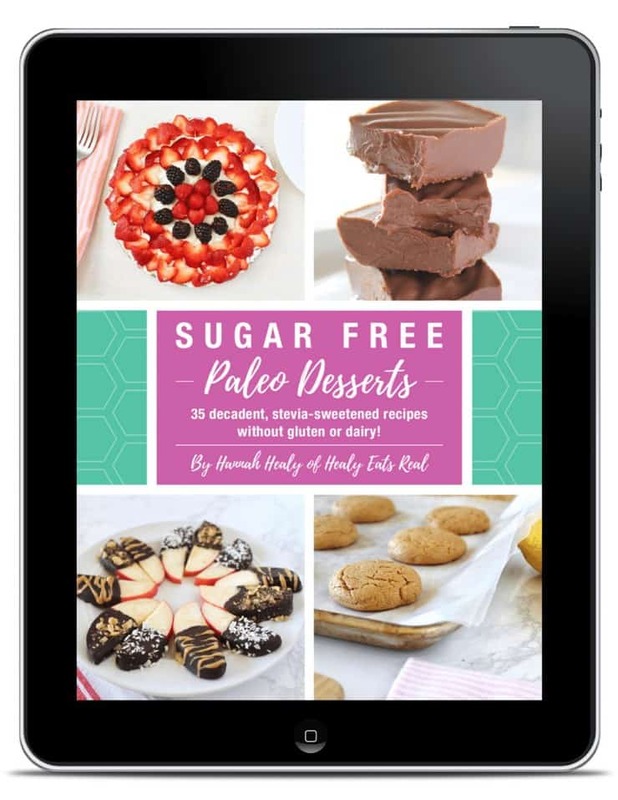 All recipes are paleo, gluten free, grain free and dairy free. Enjoy! This delicious recipe is Whole30 friendly. Adding extra vegetables will help keep you fuller longer and also add more nutrients to your diet. It also gives your dish more versatile and interesting depth of flavor. 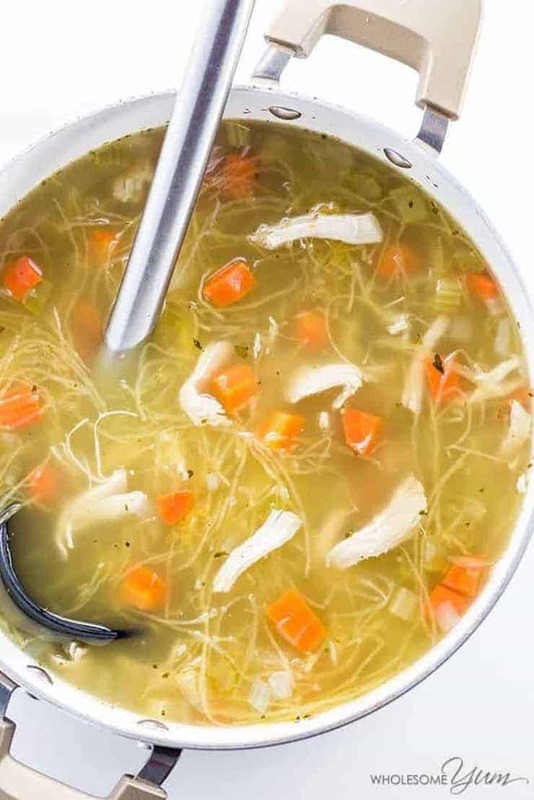 Chicken soup is that special comfort food that we all come to, especially when it’s cold out or when you’re sick. Usually the noodles in chicken soup are made with high carb wheat noodles, but ditching all those extra carbs for spaghetti squash instead is better for you adds extra vitamins! 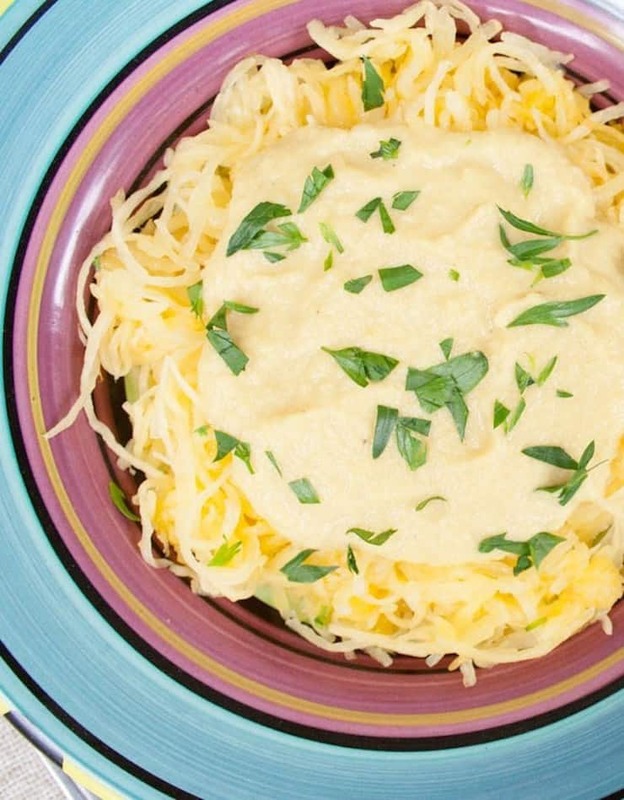 Who doesn’t love a creamy decadent alfredo with noodles? This alfredo sauce recipe is totally dairy free and vegan and made with cauliflower! The sundried tomato and basil add an extra savory touch! If you’re like me and you like some special zest, you will love this dish! I don’t know about you, but when I hear ‘one-pan dish’, I’m sold! This grain-free dish is the best combo for those who like their meal colorful and full of flavor. 20 minutes of preparation and you’re good to go! 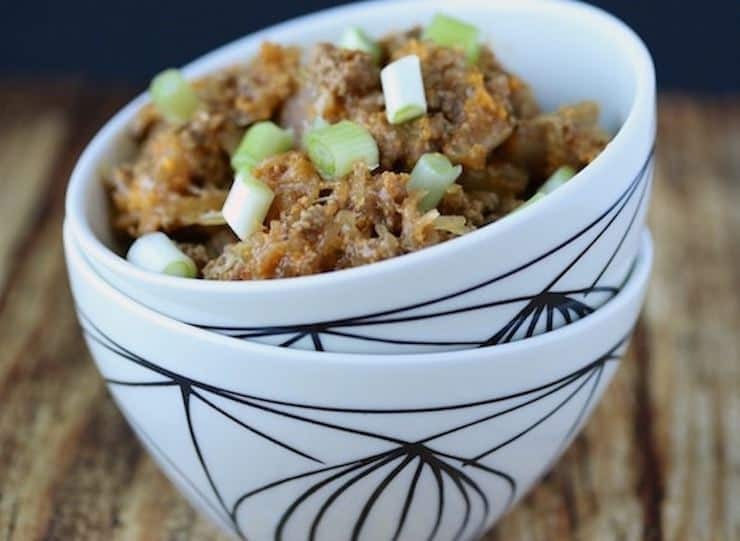 If you’re craving meat and veggies, then this recipe is for you! You won’t be able to resist these spicy beef and squash bowls. Thinking of ordering some Mexican food or making chili? Save yourself the pain and create this easy meal for the whole family to enjoy. If you’re on a low-carb or ketogenic diet, you probably miss having pizza. 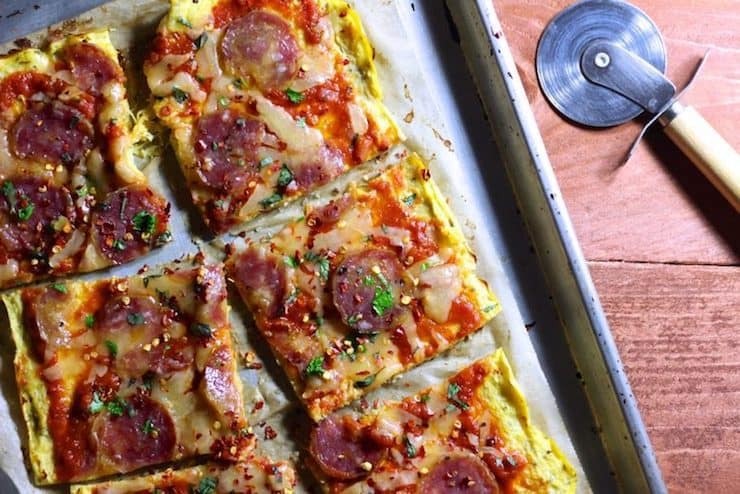 This recipe creatively uses spaghetti squash for crust. It adds texture to the pizza and saves you the bloating and digestive upset of eating all that wheat! If you haven’t gotten an instant pot yet, you’re missing out! It’s like a combination slow cooker and pressure cooker and makes cooking so fast and easy. 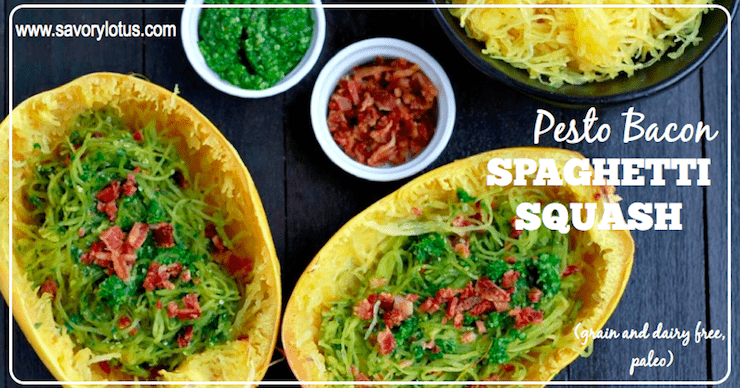 This recipes teaches you how to easily make spaghetti squash in the instant pot! This recipe combined spaghetti squash with pork and marinara for a hearty and warming meal. 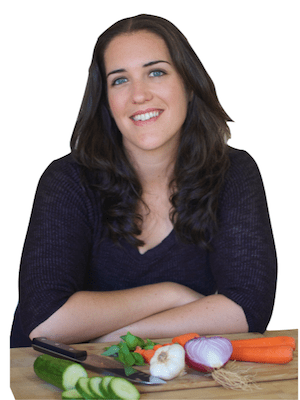 This is a great dish for families or for people who want lots of healthy and tasty leftovers! 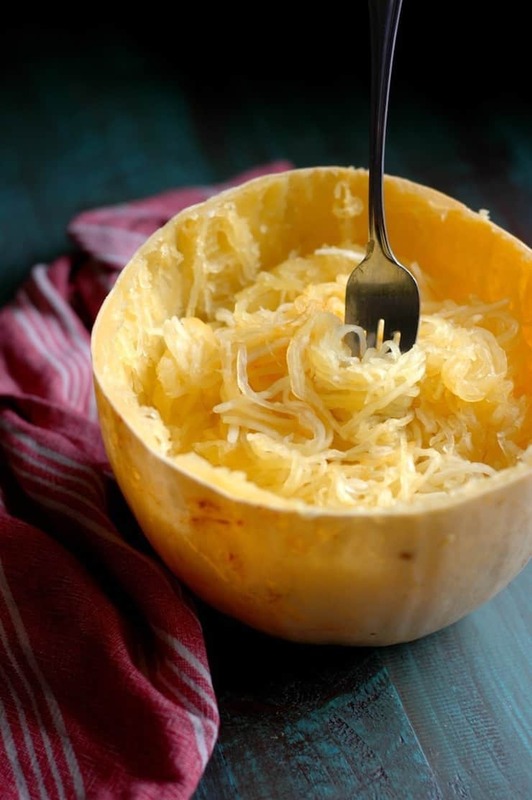 This is one of the most creative uses for spaghetti squash I’ve seen! 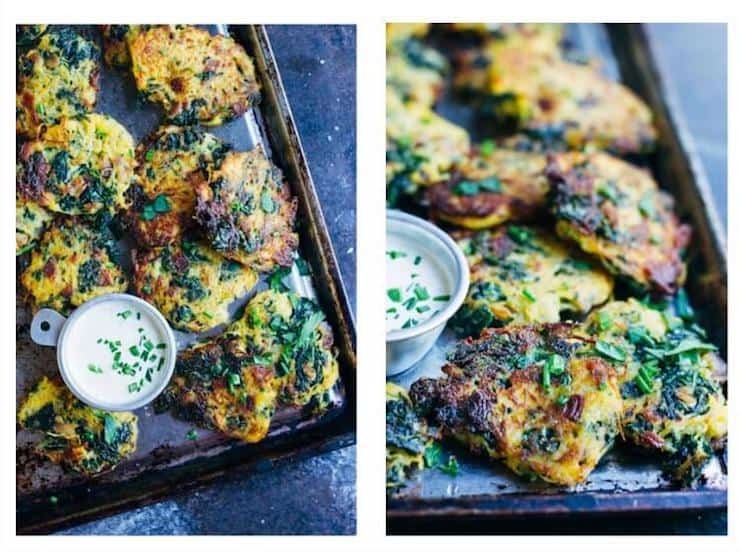 Getting those spaghetti strings and making them into crispy bacon and kale fritters sounds like a win to me! Yum! What could be better than combining bacon and pesto? 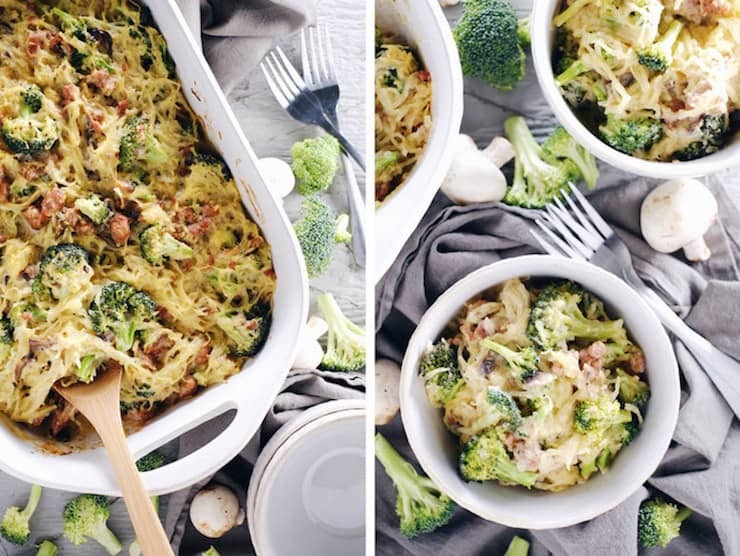 Two rich and amazing ingredients that combine to make this spaghetti squash recipe a decadent meal! This simple recipe has only 5 ingredients that make this a filling dish. Save time and create this quick and easy meal this week! This tasty dish combines fennel and sausages–two ingredients that compliment each other beautifully. 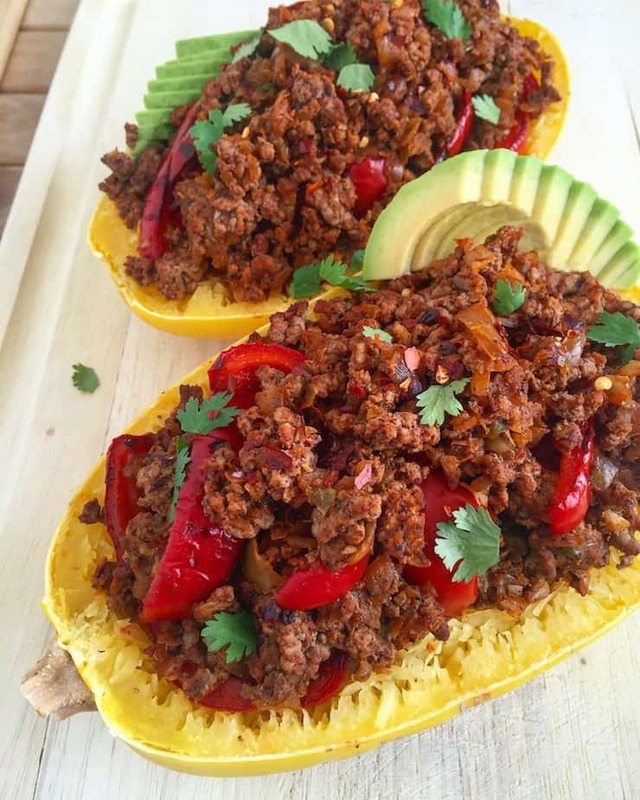 Top your baked spaghetti squash with these succulent items and you’ve got a filling and healthy paleo meal. In my opinion, whenever you top something with bacon bits, it just takes the flavor to the next level. 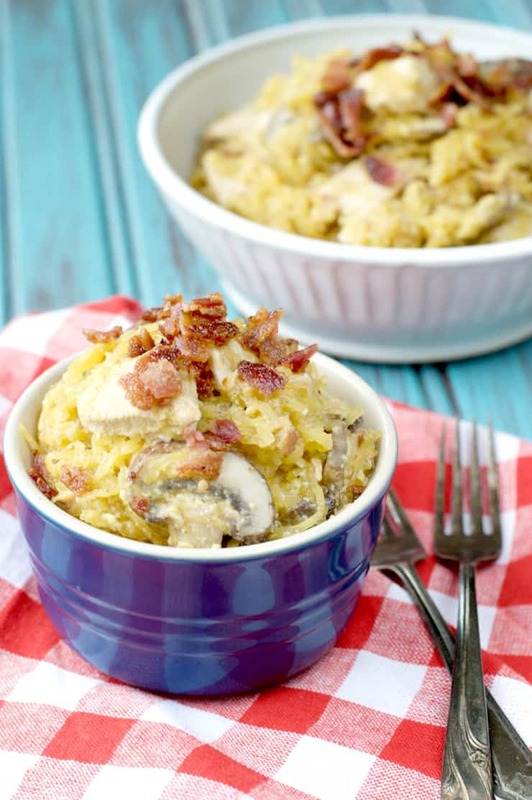 This delicious bacon chicken pasta includes savory mushrooms, shallots and coconut cream to create a decadent gluten free and dairy free meal. 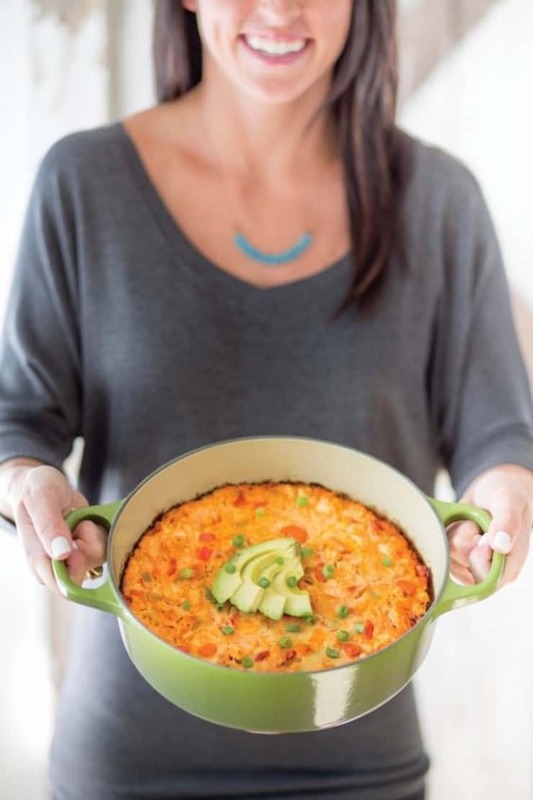 When you are paleo, you tend to miss out on comfort foods like those heavy noodle-laden casseroles. Luckily, with this recipe you can enjoy that comfort food without that heavy feeling from eating heaps of dairy and gluten. 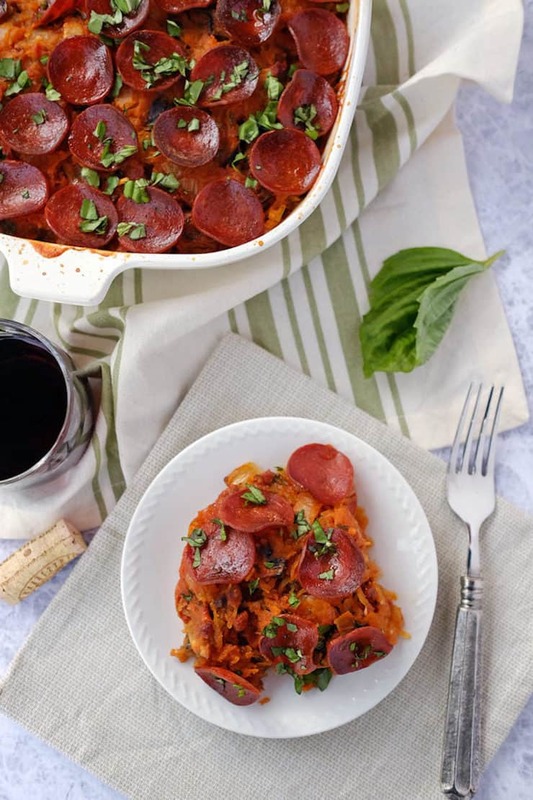 This recipe creatively uses spaghetti squash as a base for paleo lasagna. With sausage, tomato, mushrooms, herbs and topped with pepperonis, this dish would be sure to impress guests. 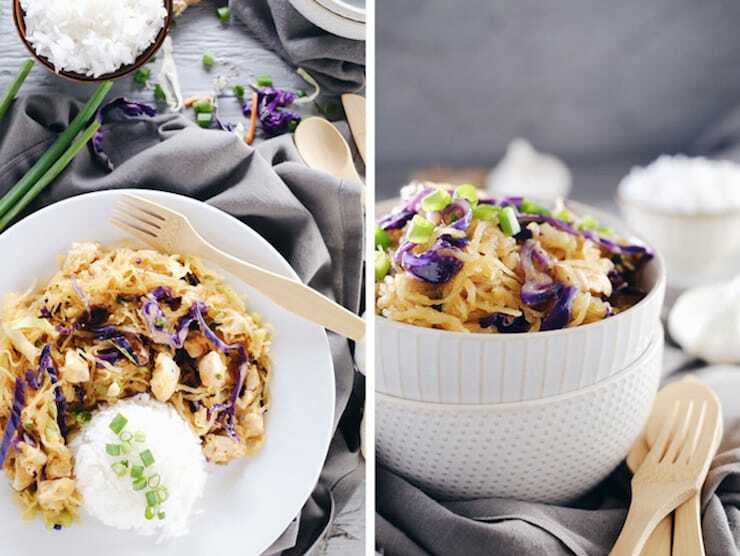 I love the idea of using spaghetti squash in place of noodles in asian dishes like this chicken chow mein The cabbage adds a nice crunch while the ginger adds a kick. Serve over cauliflower rice or regular rice. What is better than a fresh and bright tomato specked meal? 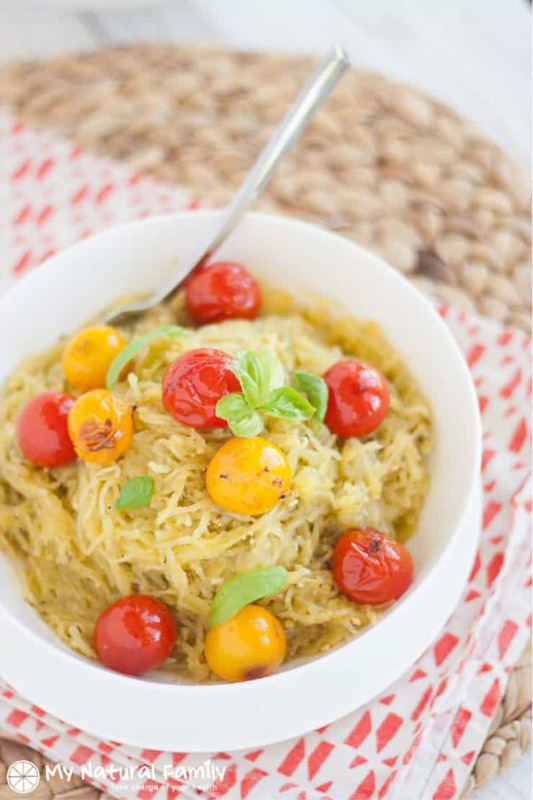 I love that this simple spaghetti squash dish features pesto and juicy cherry tomatoes. What a creative idea to use cashews to create a rich creamy sauce that adds protein and healthy fats to your meal. This dish is also topped with crispy pork crumbles seasoned with ginger and curry. This buffalo chicken casserole spices up spaghetti squash with ingredients like hot sauce and bell pepper. Most of the meal can be made in one pot to make clean up quick and easy! 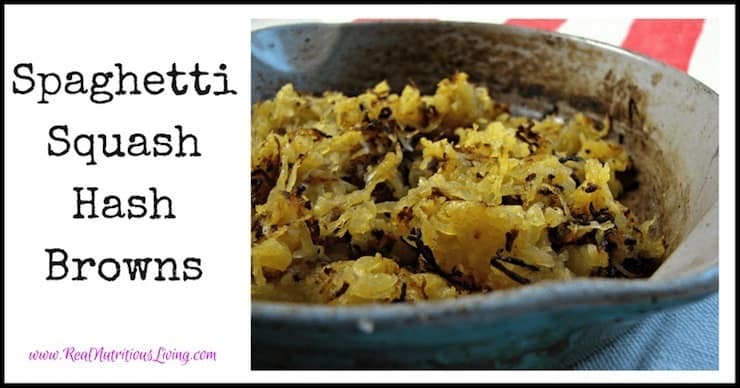 Hash browns from spaghetti squash is such a fun and original idea! This recipe is pretty simple and easy to make with just a few basic ingredients like olive oil, salt and pepper. Oh I love spaghetti squash! I wish I could find some where I live 🙁 All these recipes look fantastic, and healthy too, right up my alley! I love Spaghetti Squash. Thank you so much for the delicious recipe ideas. There are few I see that I really want to try! 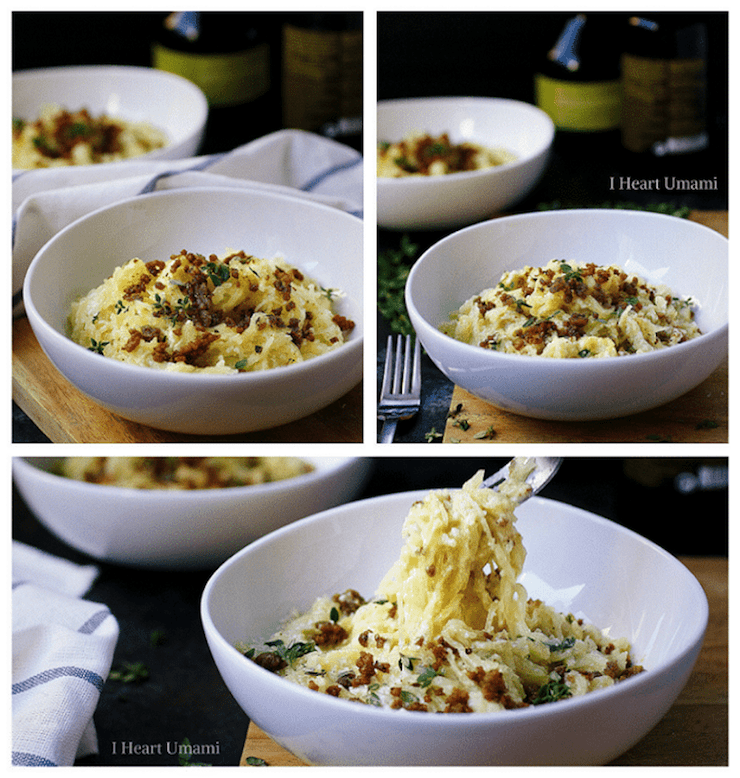 Sometimes we do not realize but spaghetti squash is such a versatile ingredient. And when prepared correctly family loves it! Thanks for sharing all the ideas. So many fun new recipes for me to try! Can’t wait to try that chicken chow mein! Boy, did I need this. I know so few spaghetti squash recipes. This is really going to help. Thanks!